WASHINGTON, DC -- The US government has reportedly sought to send Javelin anti-tank missiles to Ukraine. But it's an idea two years too late for today's battlefield, an expert on the conflict said. 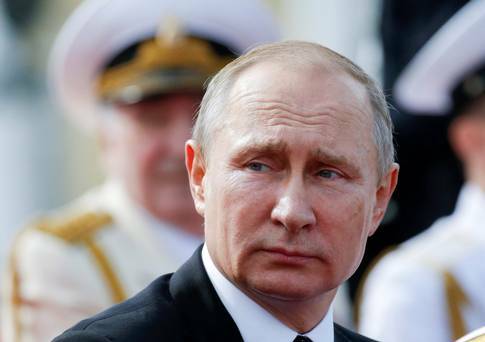 As tensions mount over the order by Russian President Vladimir Putin to expel US diplomatic and technical staff from Russia, US Defence Department and State Department officials have pushed to arm Ukrainian troops with lethal aid to counter Russian-backed separatists fighting for the self-proclaimed Donetsk People's Republic and Luhansk People's Republic. But it remains unclear what, if anything, the delivery of an unknown number of Javelins could do to alter a battle that has mostly been relegated to artillery bombardment and night-time skirmishes in no man's land. "This idea doesn't flow from a policy or strategy" and may point to a political decision rather than military necessity, said Michael Kofman, an expert on the Ukrainian conflict from the Wilson Centre, a Washington think tank. The 'Wall Street Journal' reported the Pentagon and State Department are looking to the White House to authorise the delivery of Javelin anti-tank missiles and other lethal aid to Ukrainian allies, a new development in a conflict the UN said has cost over 10,000 lives since 2014. The State Department said it has not provided Ukraine with what it calls "defensive weapons", but it has not ruled out the option to do so. "We are examining how to best use our security assistance to bolster Ukraine's ability to defend its sovereignty and territorial integrity," a senior official said. The 'Journal' reported officials in Kiev are confident the weapons would be used in emergency defensive situations away from the front. A delivery of weapons aligns with Pentagon plans earmarked in the 2018 defence budget to deliver half-a-billion dollars of equipment to Ukrainian troops, itself an escalation over the mostly non-lethal aid it has sent previously. The Javelin is a shoulder-fired anti-tank guided missile system that uses infrared to lock on and track its targets at an effective range of just under three miles. At about 23kg, it is light enough to carry. The Javelin fires a missile at a steep angle to rain down on top of a target, which is especially valuable when targeting tanks, Mr Kofman said, due to relatively thinner armour at the top of the vehicles. But tank skirmishes are rare and have been since the height of fighting in 2015. Tanks provided to separatists by Russia are typically used as mobile artillery, far from where Ukrainian troops could feasibly infiltrate and target with Javelins, he said. The high cost and doubtful utility on the current battlefield suggest the Javelin procurement is about sending a message of strong deterrence from Washington. "Ukrainians want the US to provide them with a weapon as a meaningful signal in Kiev and the Kremlin," Mr Kofman said.